When I was looking up things to see in Brussels – the only reason I was going there was because I’d never been and it was a quick train ride from Paris – I asked around if anyone had any tips on what should be seen. I got a lot of tips on what to eat (most of it fried, and it was delicious), but I also got a couple of other helpful hints. One of these was the Belgian Comics Strip Center. 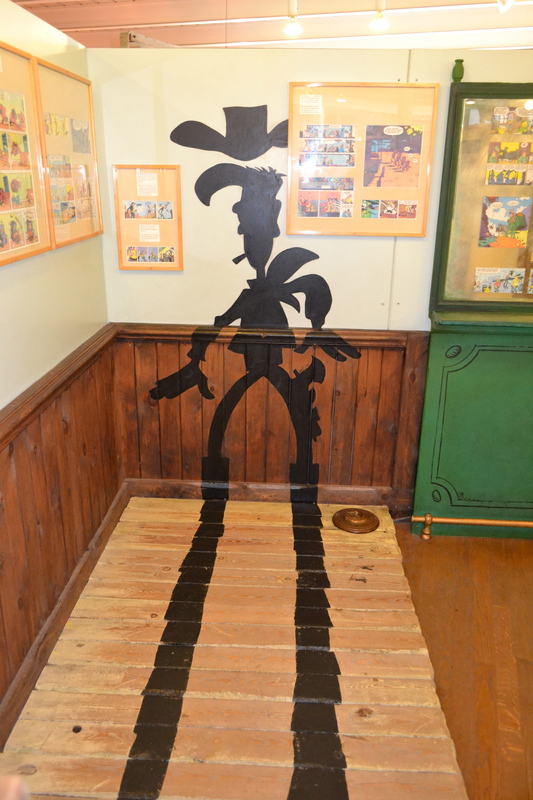 Belgian comic book writers are so plentiful that they’ve made a museum dedicated to them. A lot of them staples from my childhood, either from the library or from the collection my Dad amassed in the 60s and 70s. We could easily have spent more time in the museum than the 2 hours we were there. I also discovered the work of Posy Simmonds there. I’ve seen Tamara Drewe, but I’d no idea that it was based on a comic strip. The only sad thing about it, was that the comics for sale in their shop were mostly either in French or Flemish. I would definitely recommend this to anyone going to Brussels, with the slightest interest in comics or drawing.